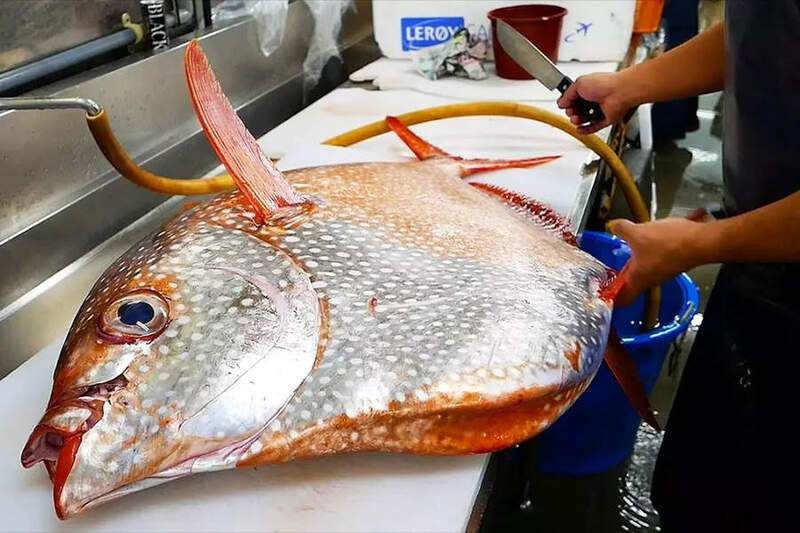 Opah (Moonfish) is a very large, very beautiful fish that tastes somewhat similar to tuna. 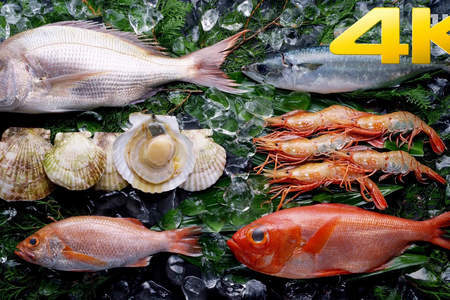 It's a mild-flavored fish that is becoming increasingly popular in fish markets. The flesh is pale red-orange with leaner meat on the top half and fatty belly meat on the lower half. 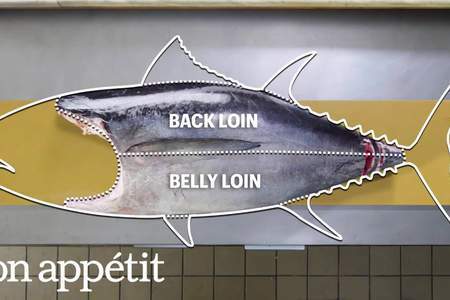 Fishmongers here are breaking down an entire opah fish into chef cuts for cooking or sushi. 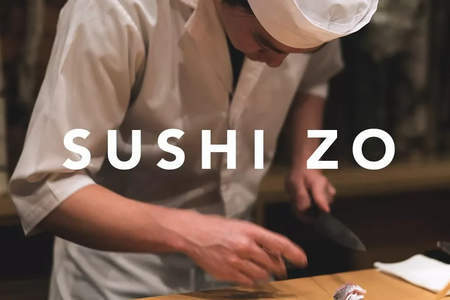 Opah makes for excellent sushi and sashimi, paired with ponzu, ginger, and daikon.